This tangy lemon has been cut open to see the intricate natural pattern inside. 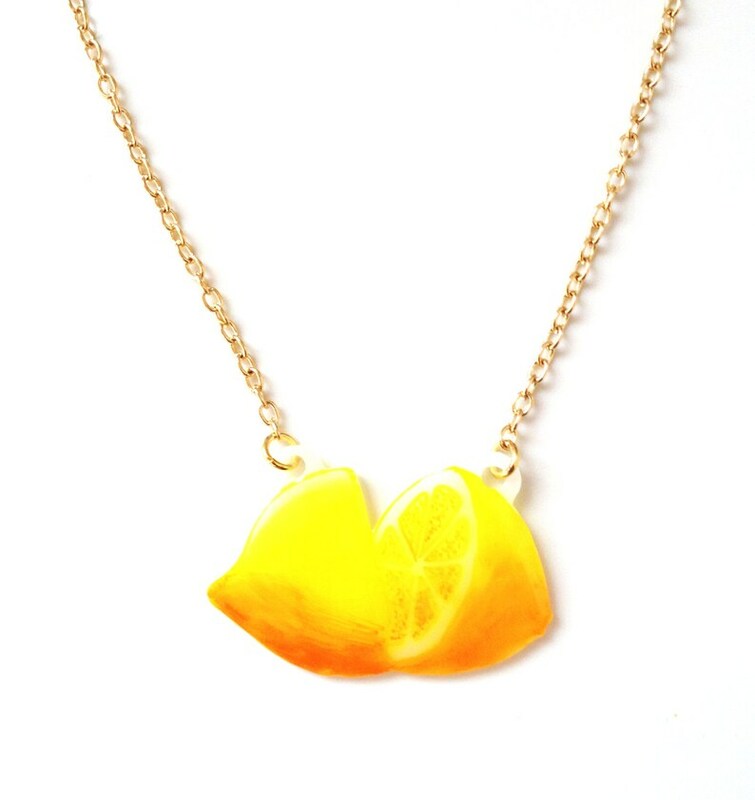 Show your appreciation for this super fruit with this handmade necklace. For the Fantastic Fruit range I have developed a new technique with my marker pens, to create a unique painted-like effect. Approx 3.5cm wide, however as each piece is hand made and drawn just for you, sizes may vary very slightly. Your pendant will be hung from a 16" silver plated or gold plated trace chain, with a 2" extension chain.